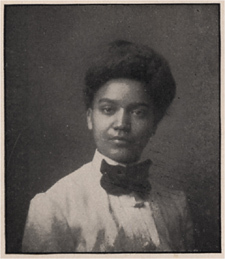 Cornell Senior Photograph of Jessie Fauset, Class of 1905. From 1903 through part of 1904, Fauset lived at Sage College. During her academic career at Cornell, she won Phi Beta Kappa honors. She later became the literary and contributing editor of the Crisis, the official monthly publication of the NAACP. As a writer of the Harlem Renaissance period, she penned four novels, including Plum Bun (1928) and The Chinaberry Tree: A Novel of American Life (1931).